SSC CGL Tier I exam 2018: The Staff Selection Commission has postponed the Combined Graduate Level (CGL Tier-I) examinations that were earlier scheduled to be conducted from July 25 to August 20. 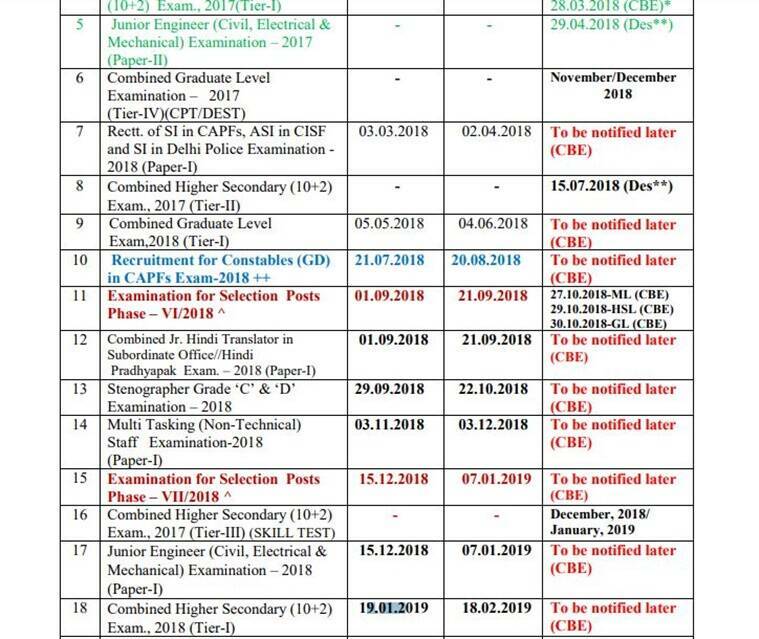 As per the official notification, the commission will announce the new dates for the Tier-I examination soon. SSC is also expected to issue the admit card soon for the recruitment to the posts of Group B and C in various ministries and departments. Students have to appear in all the four phases of the examination (Tier- 1 to 4) to get a job in the commission. Once the Tier 1 exam results are out, selected candidates will be called for Tier-II exam, the dates for which will be notified later. Tier 1: It will be a computer-based exam which will have 25 questions of 50 marks each for general intelligence, reasoning, general awareness, quantitative aptitude and English comprehension. Tier 2: It will contain questions on quantitative abilities, English language and comprehension, statistics and general studies (finance and economics). Tier 3: It will be a descriptive language paper in Hindi or English in which candidates will have an hour to write essays, letters and long pieces for 100 marks. Tier 4: It will be a skill test. Set up on November 4, 1975, the Staff Selection Commission (SSC) works under the Government of India and recruits staff for several posts in the various Ministries and Departments of the Government of India and in Subordinate Offices. It has its headquarters in New Delhi, with regional offices at Allahabad, Mumbai, Delhi, Kolkata, Guwahati, and other cities.